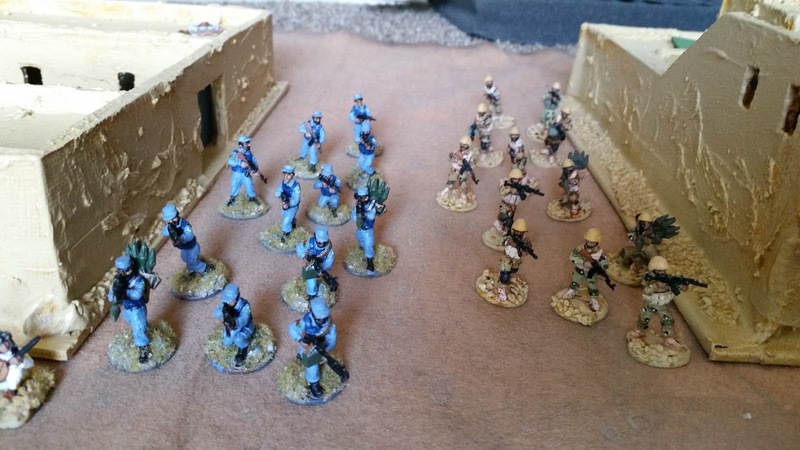 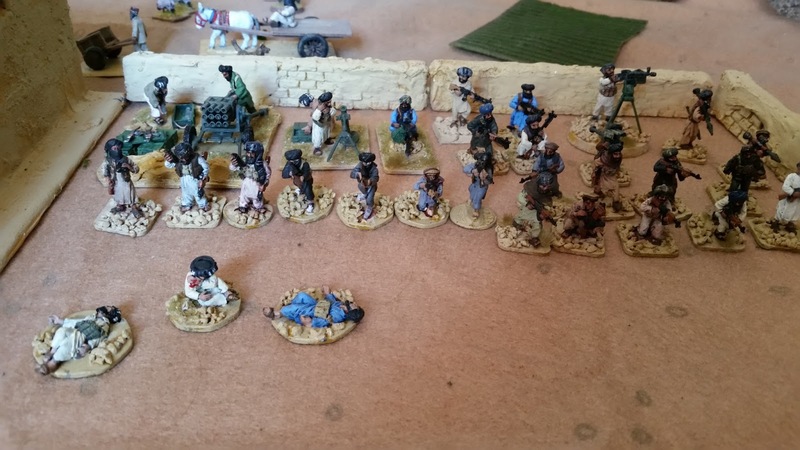 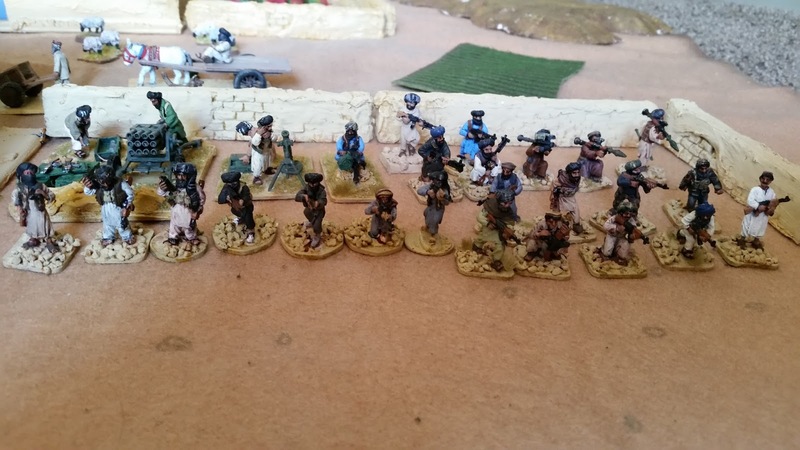 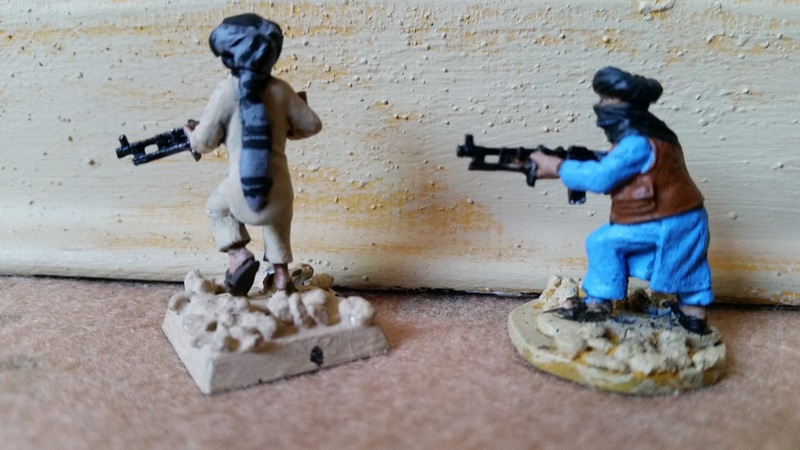 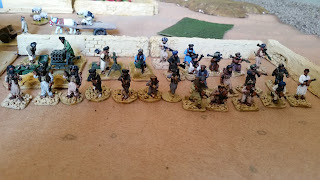 will's toy soldier blog: Back to Afghanistan! 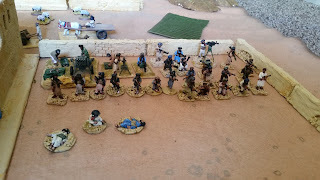 It has been a while since my last post, so I guess I have some catching up to do! 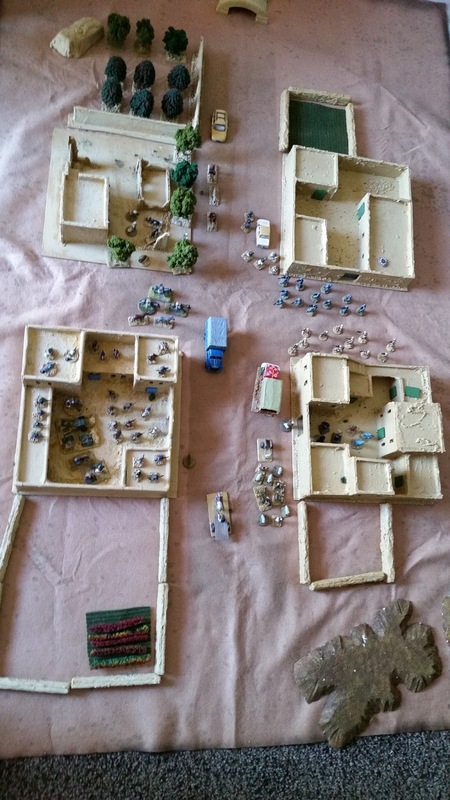 I have the house to myself for now, so I took advantage of the opportunity to lay out all that I've assembled so far for Afghanistan. I feel that I've got a good start. 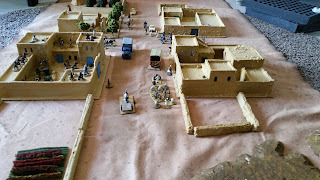 I don't think I need any more compounds, but I suppose another one or two would allow me to present a good little town. 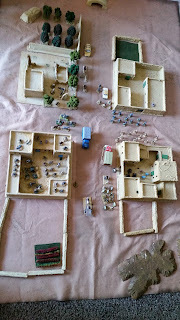 Maybe a mosque, and something that looks like a police station or government building. But I definitely feel that I should build up the countryside a bit more, more fields, rocks, definitely some hills. 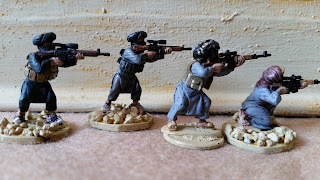 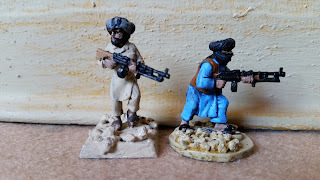 I've finished up some more Taliban specialists. These are snipers, two on the left with G3 rifles and two on the right with Dragunov rifles. At least according to Eureka Miniatures! 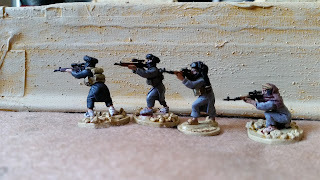 Also have a couple more LMGs to give Timmy some more firepower. 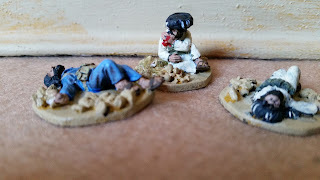 And finally some casualties. 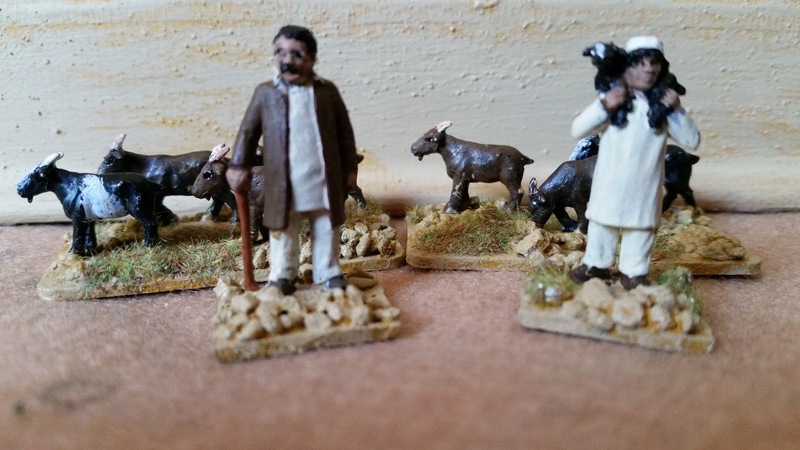 Originally there were 4 of these but one got recruited to drive a horse cart (lucky fellow!). 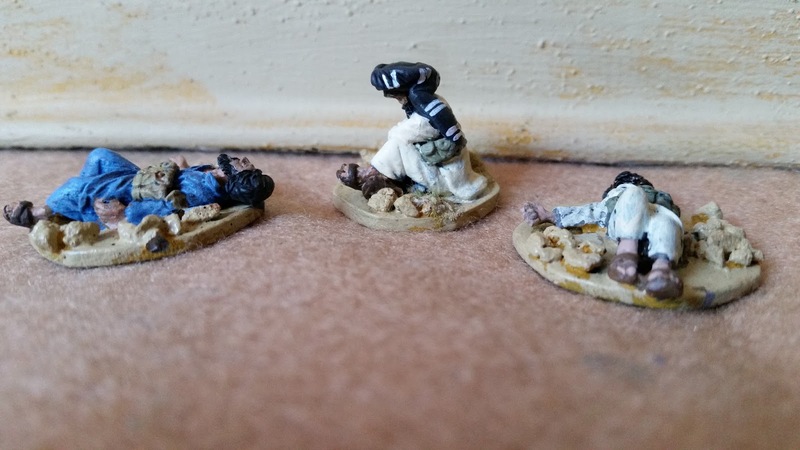 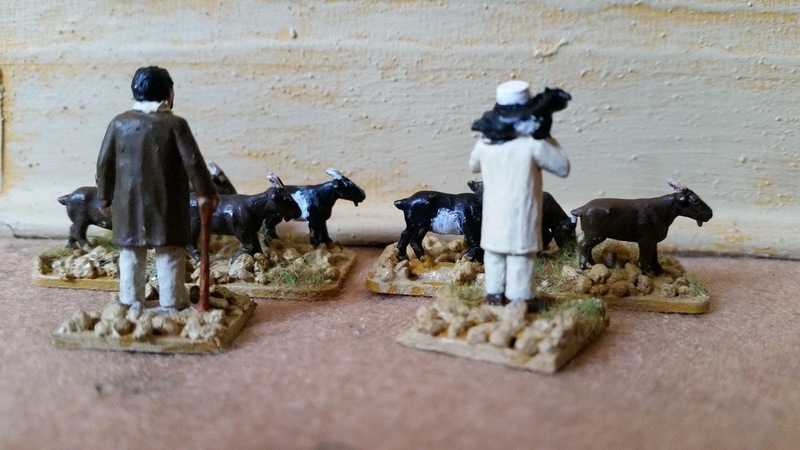 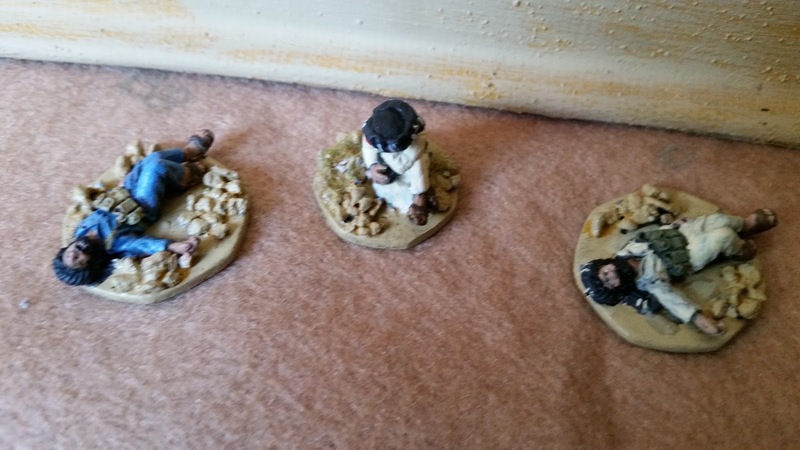 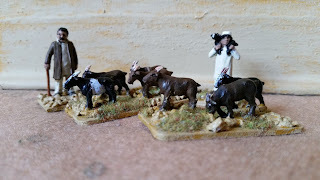 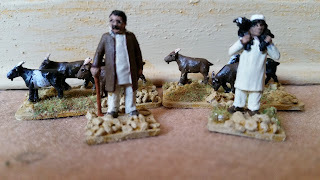 Another civilian set from Eureka, this time a pair of goat herders. And here are the government forces (Afghan National Police on the left, Afghan Border Police on the right).